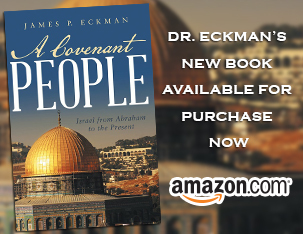 An important message from Dr. Jim Eckman, about the Future of Issues In Perspective. As many of you know, I have announced my retirement as Grace University?s President, effective 30 June 2012. An important aspect of my retirement is the decision to end the radio edition of Issues in Perspective. The last radio broadcast of ?Issues? will be the weekend of 28-29 January 2012. However, I will continue writing the weekly edition of Issues in Perspective, which you can access at www.issuesinperspective.com. (The archive of past editions of Issues will remain at that site). Thank you for being a faithful listener and supporter of ?Issues.? To have had this radio ministry for nearly twenty years has been one of the joys of my life. I hope that you will continue to read Issues in Perspective at the Issues website. Please contact me with questions or comments about anything you read at www.issuesinperspective.com. This news is just devastating to me. I prefer to hear what is going on the the world through radio shows like yours, Dr. Alfred Mohler, Critical Issues Commentary, AFA Radio and others.This is a great loss to the Christian who wants balanced biblical guidance as they navigate a hostile world culture. Your show is one of those anchors in turbulent secular waters. You were always gracious, givng honor where honor was due and speaking courteously of even those vile people who would not be inclined to return your courtesy. Your unflinching support of the nation of Israel and her people honor the Lord Jesus Christ. You will be greatly missed. I suspect that ‘retirment’ is euphemistic for the Lord God moving you into a new season of service to His glory. You are greatly missed. I’ve been trying to google your broadcasts and just came upon this. No wonder I haven’t been able to find you. Your respectful way of combating injustice and the no-nonsense approach to a biblical perspective that lacks a critical spirit will be sorely missed. I can hardly listen to other Christian broadcasters who seem to be mocking those who don’t line up with our belief system, pointing out flaws in others that are meaningless and setting us up to be viewed as haughty, foolish and compassionless. Your broadcast is one where I can relax and walk away with more knowledge on the subject and less hostility toward the world that we are trying to reach. I find myself praying for those in authority, crying out to God for intervention for our country and the world, knowing that “we wrestle not against flesh and blood, but against principalities and the forces of darkness.” Sometimes I think we forget who our battle is with, you always remind us of that. Who will take your place as a voice of reason in the Christian community?? We have a few that are rooted and grounded, but others who are content to stir up contention and negative emotions with nowhere to release them except on the unbeliever, who doesn’t understand our hostility. God help us!! And God bless you for the role you have played all these years. Thank you for changing my perspective! I am so thankful that you have continued to write Issues in Perspective , though the broadcast has ended. Not only does your ‘column’ help us to understand more fully the extent of current issues, the Christian insight is vital in this postmodern world. I wish this were available in a wider reader venue. We so much appreciated your radio messages and made them a part of our Sat mornings. We now appreciate your continued writings that give us great insight into current issues. We try to share these with family and friends. I think your article on A BIBLICAL THEOLOGY OF THE HUMAN CONSCIENCE is just brilliant in its simplicity, clarity and wisdom. I personally have learned much from it. I hope my reader will also. Log in | 34 queries. 0.065 seconds.